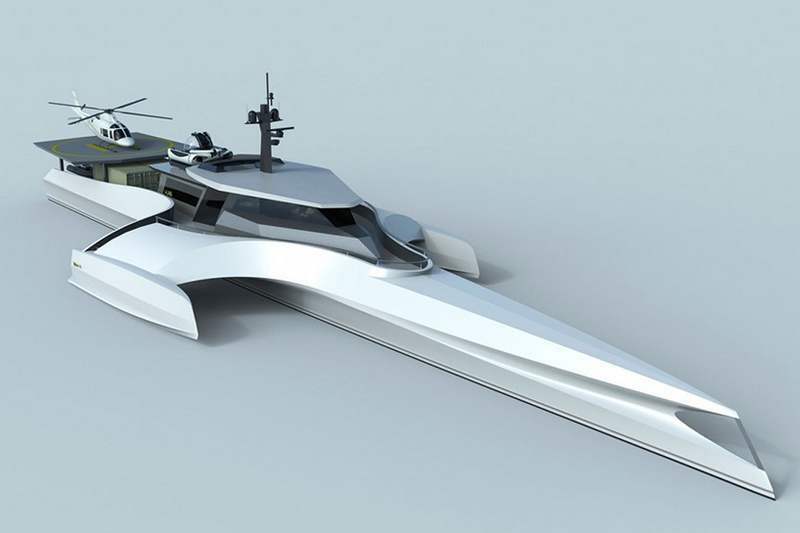 Take a look at this stunning 120-Meter Trimaran superyacht concept. 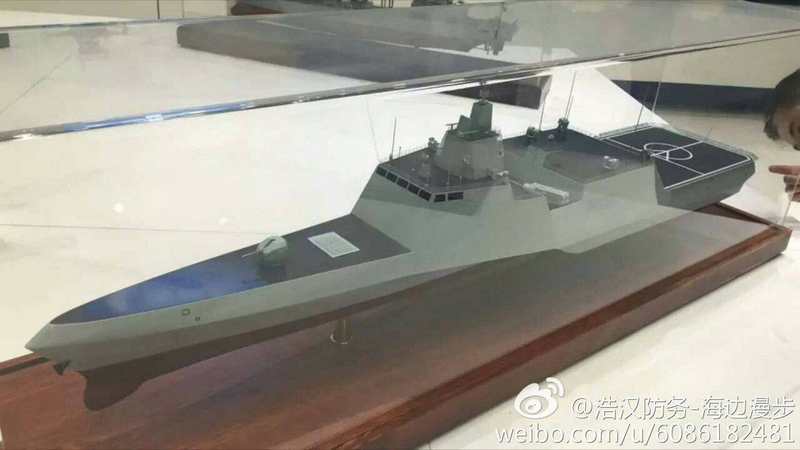 The Chinese triple-hulled frigate with all-electric propulsion, can reach top speeds of 35 knots. 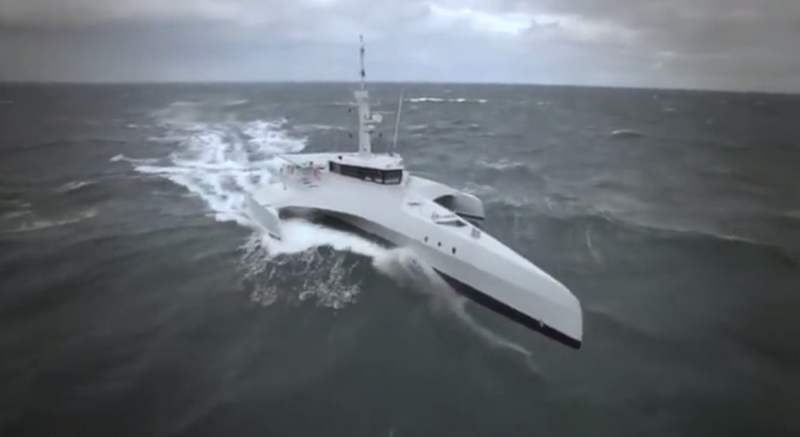 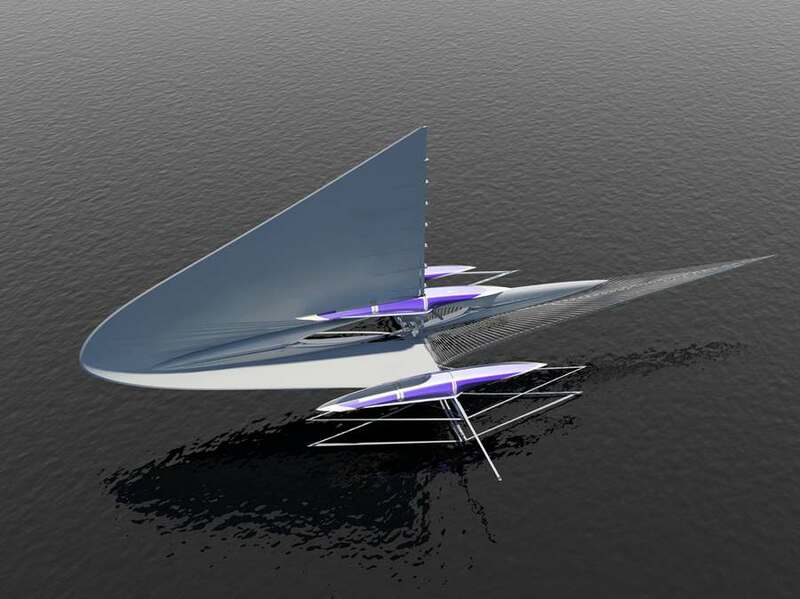 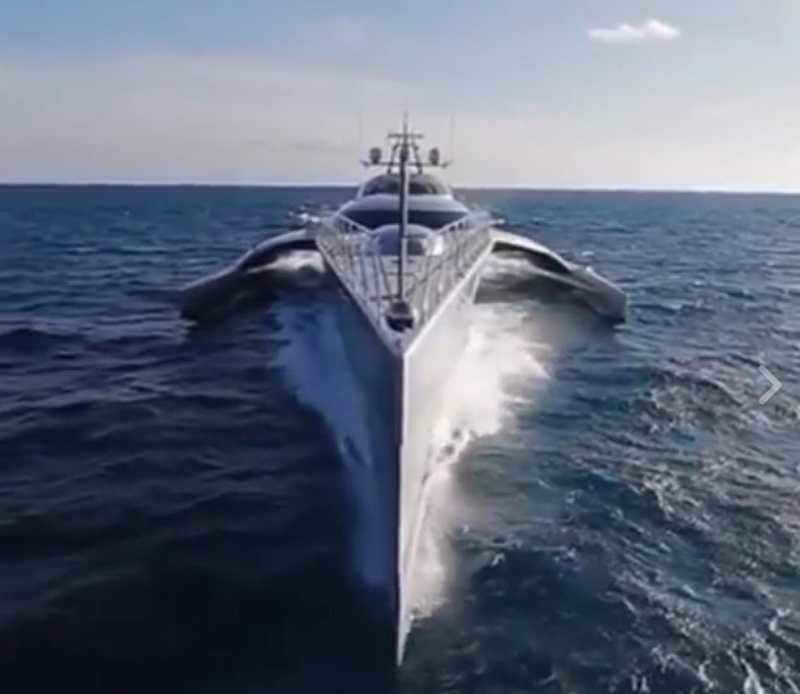 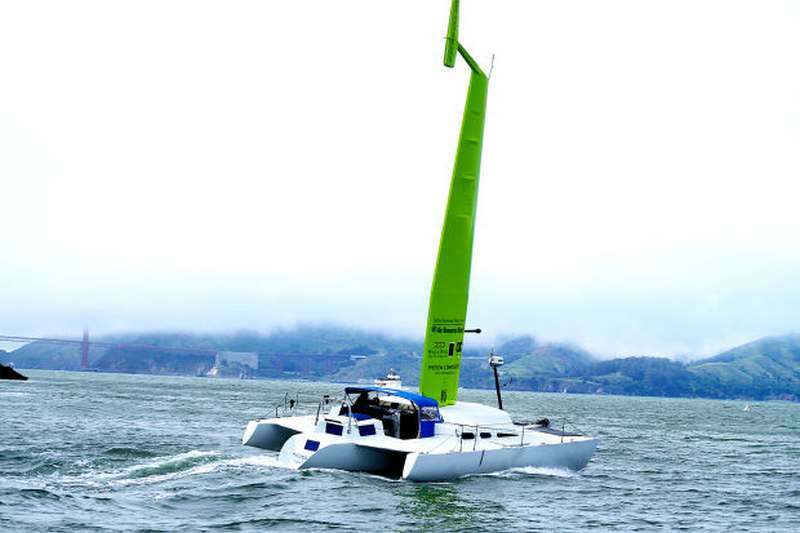 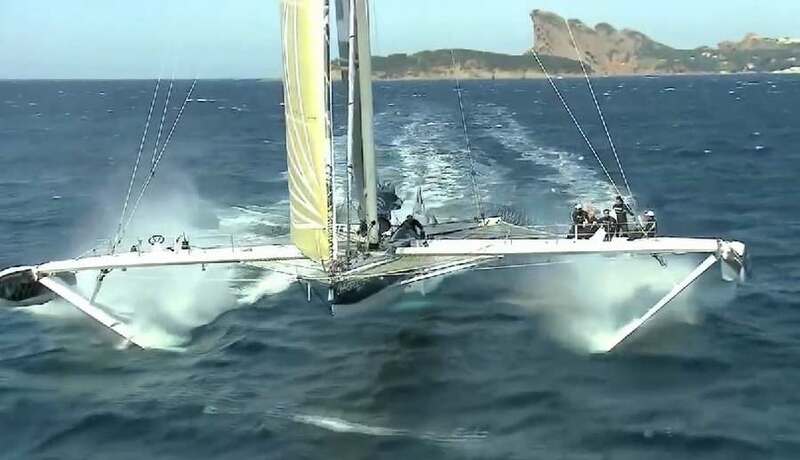 Mayflower Hi-tech autonomous trimaran yacht is planing to sail across the Atlantic, running only on wind and solar power. 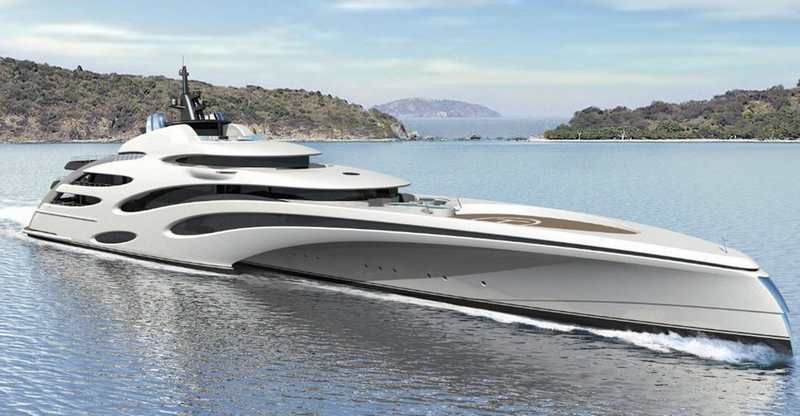 Origin 575 and Xplore 70 ultimate Explorer yachts, designed with trimaran layouts. 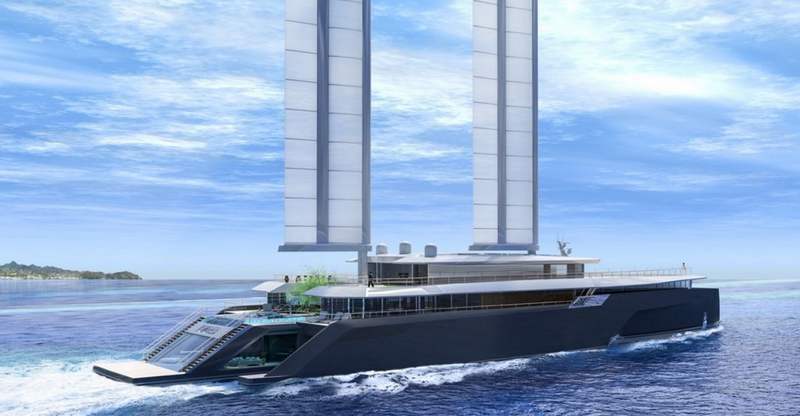 A new wind-powered commuter ferry, an advanced vessel to automatically harness wind power and transform it into clean transportation. 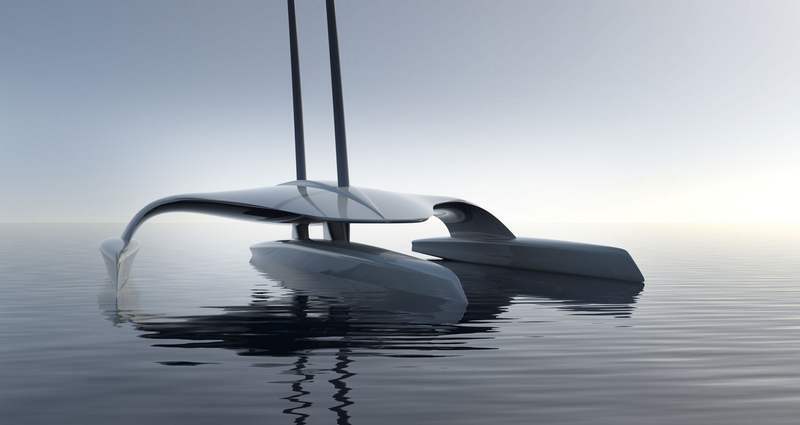 The futuristic solar powered, Fresnel Hydrofoil Trimaran yacht by Margot Krasojević, commissioned by HoldenManz wine estate, Cape Town.